A landmark draft Domestic Abuse Bill, which for the first time covers more than just violence. 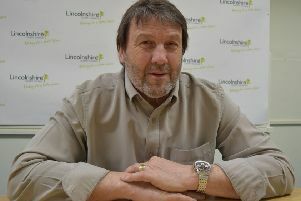 has been welcomed by a Lincolnshire Police department which supports victims. The Bill - which for the first time includes emotional, sexual and economic abuse - comes as it is revealed domestic abuse issues cost the country £66 billion a year. It has been described as a “game changer” by the leading force behind it - Minister for Crime, Safeguarding and Vulnerability and Louth and Horncastle MP Victoria Atkins. Around two million adults experience domestic abuse each year, affecting almost six per cent of all adults. Cases in Lincolnshire are rising nine per cent in a 12-month rolling period, with women twice as likely to be victims than men. According to Ms Atkins, the new legislation which was published today (Monday) aims to encourage victims that “they can and should seek help”. Ms Atkins took time out tonight from addressing the national press to speak with our local reporter. She told us she had “heard absolutely heartbreaking accounts of victims whose lives have been ripped apart” because of physical, emotional or economic abuse they have suffered by someone close to them. “Before going into politics I used to prosecute criminals when they appeared in court and saw victims withdraw their statements because they were being threatened and there was nothing I could do to help - so I have been so pleased to be leading this work,” she said. “This Bill and non legislative measures being put in place will help victims identify when they are being abused and show that there is help when they report it. “Domestic abuse is a crime that is hidden behind doors leaving victims feeling isolated and alone. “This is especially evident when speaking to constituents at my surgeries in Lincolnshire where it is so rural. “This government is absolutely committed to shining a light on domestic abuse to ensure this hidden crime does not remain in the shadows. Lincolnshire Police said domestic abuse remains a serious issue for the county, with incidents reported daily. Sarah Norburn, Domestic Abuse Coordinator for Lincolnshire Police, said: “We welcome the government’s draft Domestic Abuse Bill published today, and will continue to work with a wide range of partner agencies, both statutory and voluntary, to implement the changes required locally. “Domestic abuse remains a serious issue for our county, with incidents reported daily to the Police, as well as other professionals, but also recognised by family and friends.